Rocky Point Overlook | Just Shooting Memories! 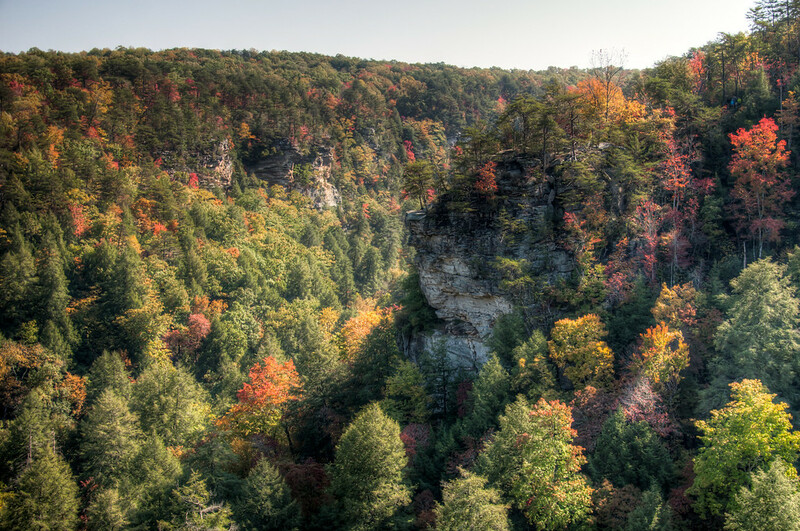 There are very few bad views in Fall Creek Falls State Park in Tennessee and during the fall, they get even better. From the Fall Creek Falls overlook, you can see a large portion of the gorge that Fall Creek and Cane Creek run through. Across the gorge from the overlook is the Rocky Point Overlook. I took the short hike around the top of the falls to Rocky Point, but chose to stay at the top and not work my way to the edge. It was all I could do to keep the kids back from the edge. It’s a long way down from the top.